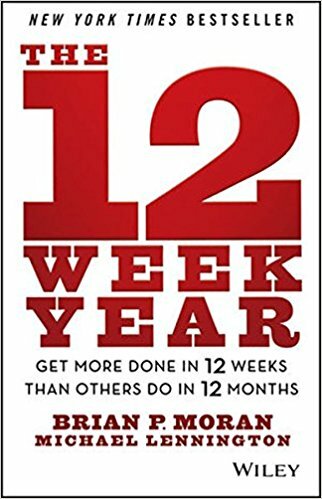 I just finished reading The 12 Week Year: Get More Done in 12 Weeks than Others Do in 12 Months by Brian P. Moran and‎ Michael Lennington. The title sounded gimmicky, but since my friend, Brendan Barca, recommended it, and because I want to have a big 2018, I gave it a read. It turned out to be a great book. Moran and Lennington provide a simple but effective framework for setting goals and actionable tactics for executing on those goals. This article covers 7 lessons I learned from The 12 Week Year and how you can use them to set goals that stick. “Vision: A compelling vision creates a clear picture of the future. Planning: An effective plan clarifies and focuses on the top priority initiatives and actions needed to achieve the vision. Process control: A set of tools and events that align your daily actions with the critical actions in your plan. Measurement: Lead and lag indicators that provide comprehensive feedback necessary for informed decision-making. Time use: Using your time with clear intention is a must. Accountability: Accountability is ultimately ownership. It is a character trait, a life stance, a willingness to own actions and results, regardless of the circumstances. Commitment: Keeping your promises to others build strong relationships, and keeping promises to yourself builds character, esteem, and success. I particularly appreciated the idea of commitment as a virtue and the importance of creating a vision to stay motivated and focused on the highest leverage work. “The secret to living your life to its potential is to value the important stuff above your own comfort,” Moran and Lennington write. Your vision will motivate you to push through the inevitable discomfort that arises while trying to achieve meaningful goals. The authors of The 12 Week Year encourage readers to write two visions: aspirational and three-year. Your aspirational vision describes how you want to live your life and what you ultimately want to achieve. This could include achieving financial independence, starting a healthy family, or living to the age of 125. Your three-year vision describes they key objectives you want to achieve within the next three years. This could include growing your business to $5M in revenue, getting promoted to partner, or winning a weightlifting competition. Print out your vision. Review it at the beginning and end of each day, during your weekly review and planning sessions, and anytime you need a boost of motivation. 12-week goals are not based on stacks of assumptions or dependent on predicting an unpredictable future. They’re not an exercise in fortune telling like 10-year plans. 12-week plans also give you a better picture of what you should do on a day-to-day basis. A goal such as “start a company and sell it” won’t help you prioritize your work this week. After 12 weeks, ask yourself how your situation is changed and what new opportunities have presented themselves, and create new 12-week goals. When writing your goals, ask yourself “How will your life be different if you accomplish those goals?” This will keep you motivated when times get tough. 12-week goals are the bridge between your vision and your action plan. Your action plans prioritize your work on a daily and weekly basis. “Identify and implement the critical few actions that you need to take to reach your goal,” Moran and Lennington write. What you do today creates your future. Weekly and daily plans have the added benefit of helping you determine what not to spend time on. Write down the critical few actions that you need to complete to achieve your goals. Assign due dates. Then, ask yourself “what actions will you struggle with?” and “what will you do to overcome those struggles?” This pre-emptive plan will make it easier for you to overcome obstacles as they arise. Life is full of distractions. Meeting requests. News. Emails. Social media. Planning and review sessions can help you stay focused on what really matters. Strong desire: A compelling vision and reason for execution can help with this. Keystone actions: Make it easier to get started. Remove “thinking about what to do” as a barrier to execution. Act on commitments, not feelings: Make a commitment to yourself and be willing to tolerate the discomfort that comes from following through on it. I particularly appreciated the ideas that following through on the commitments you make with yourself builds esteem and that acknowledging what you will struggle with will help you push through when you need to. Once you’ve created a vision, 12-week goals, and an action plan, it should be pretty clear what actions are most important for you to achieve results. Perhaps more importantly, you will be able to identify all the actions that you could do that won’t actually contribute to achieving results. Planning – such as setting your 12-week goals – may be one of those important strategic activities. Execution is easier than figuring out the best opportunities to execute. 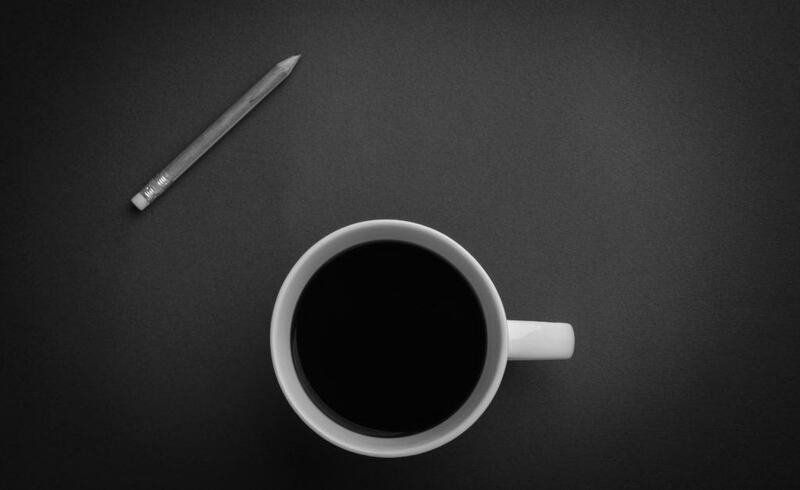 Take note of your most productive time of day – mine is the morning – and dedicate it to important work. No meetings, phone calls, emails, or social media! I’d also recommend under-scheduling yourself so that you have time to pursue new strategic initiatives that may present themselves. I was grateful to have had time to learn more about cryptocurrencies this year. Having that slack in my schedule has lead to some great investment opportunities. Create a compelling vision for your life. Break your 12-week goals into weekly and daily action plans. Schedule weekly review and planning sessions to measure results and stay focused on achieving your vision. Sign up to receive my best articles by email below.